The last s'more has been eaten, the candy stashed and the children are snug in their beds. Ah, the bliss of weekends! Yesterday was full of a little bit of this and a little bit of that, but today is wide open and full of quilting. I ran out this morning to take the girls to breakfast and the grocery store, but fired up the quilting machine as soon as we got back. 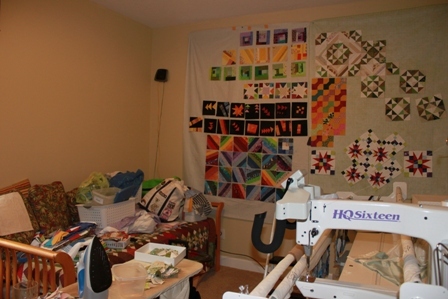 I've had the HQ16 set up to a shorter length almost as long as I've had it, most of the quilts that I finish are twin sized anyway and it is hard to get around when the machine is fully extended. There are a couple of big quilts in the pipeline though and so I decided to stretch it out again. I'm still not sure where that extra section of rail extender disappeared to, but with a little help from Kurt and a trip to Home Depot we have everything working well again. I'm filling the middle of Roll Roll Cotton Boll with swirlies and the border with a smallish meander. 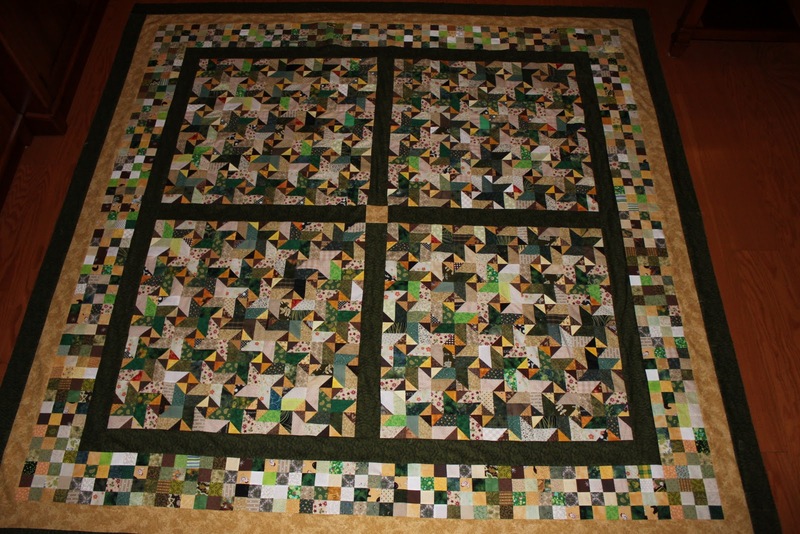 This isn't the flattest quilt I've ever made and hopefully fairly dense quilting will hold it all together better. Between the strings and the excessive number of HST units, I'll have to give myself some credit for learning new skill rather than for perfect craftsmanship on this quilt. I love how it looks though and wish I could convince Anna to put it on her bed. 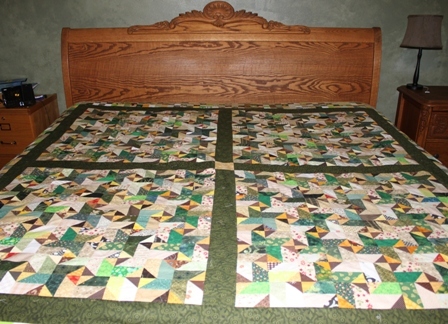 Noanie bought her a very fancy bedding set though, so I'll have to find another home for this beautiful quilt. I am going to be happy to finish up the orange today! Somewhere I have another ScrapHappy block all cut out and ready to go. I even bought some potential sashing fabric. White is usually my favorite choice, but it won't work in this case, so I got some black with rainbow dots and stars last week. 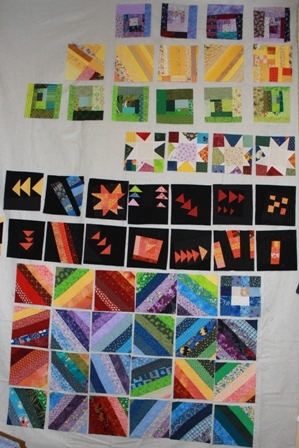 I've also seen lots of pretty modern quilts with a steel gray background, maybe that would work here as well? 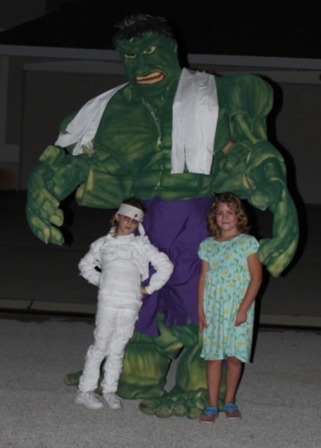 What are you working on during the last weekend before Halloween? 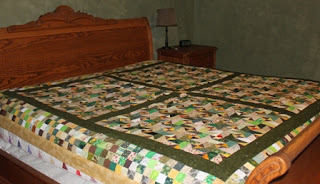 The plan was to add a yellow border at 3.5 inches because it was the same size as the basic block unit in this quilt, then to add a wider green border to make it all fit onto the bed. Unfortunately, there wasn't enough of the green, leading to another 3.5 inch border instead. So now I still need to do something to make it just a wee bit bigger. 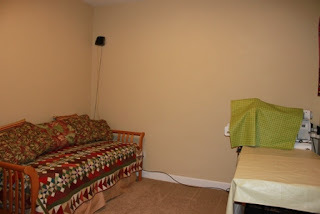 It will fit on the bed and even hang over the edge like this, but it would have to be carefully arranged in order to cover all the edges every morning, so I'd rather add on a few more inches. I don't want to add another green or yellow, but a green and yellow print might work, or maybe a brown and green print, or even a solidish brown to frame the whole thing? What do you think? 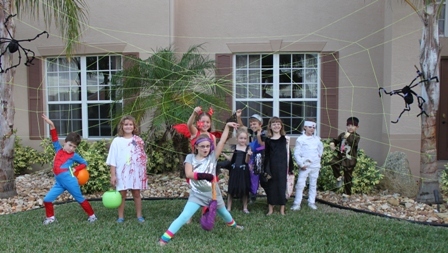 I started putting the borders on Spinning Stars, but Sydney really wanted me to finish her Halloween costume first. She is going to be a mummy. The base is a pair of long underwear onto which I sewed strips on muslin (easier said than done). Kurt warned me not to make it too perfect, I don't think he needed to worry about that. Anna is going to be Lady Gaga and needs me to sew balloons onto a leotard while Ryan is going to wear the chain mail that Kurt made for him. 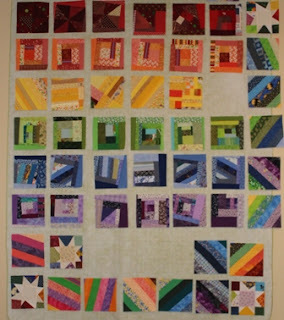 First though, I want to get some borders sewn on and some backs pieced. I'd love to set the quilting frame up again and finish a quilt or two in the near future. I've got my eye on Veterans day in a couple of weeks. A nice three day weekend should be just about perfect in so many ways. I wanted more than anything to just collapse this evening after dinner, but I knew it wouldn't take long to finish of the Midget Block that I started last week. This one is called Friendship and it is paper pieced in 6 sections with 31 pieces. Even though school is busy these days, I'm still trying to do a tiny bit of sewing during the week. I'm starting to get the hang of teaching 6 classes. I think the key is being organized enough to take advantage of all the spare moments when the kids are doing other things. Yesterday they worked on a concept map long enough for me to calculate some test grades and today they were working in the computer lab while I posted grades. Most of my classes are really well behaved this year which helps a lot. The school board talking about rezoning again, this time for the high schools, it makes me glad all over again that I get to take the kids to school with me when they get old enough. I seem to be doing a lot of borders lately. 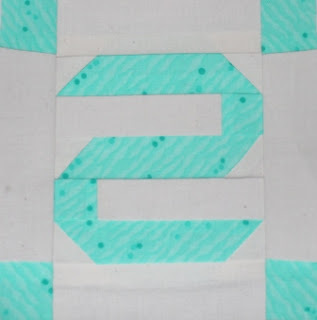 Though it isn't my favorite part, It is a good sign that I'll be quilting again soon. This one still needs one more border for size. 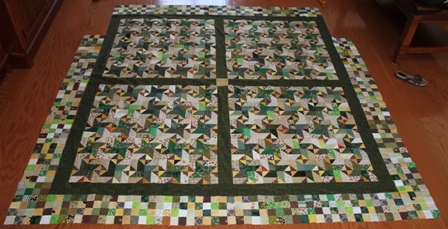 I think I've got enough of the dark green and then I'll use the yellow again for binding. I think yellow thread for quilting would be good, I think it would looks good with a pantograph. Today was a day of odds and ends. With Kurt back in town after being gone most of the week, I enjoyed getting out and about without kids for a bit. The rest of the family went to Art of Sand while I took a trip to get border fabric, a new pillow and some odds and ends for the kids Halloween costumes. The kids were in and out all afternoon with friends from the neighborhood and then we had a cake after dinner to celebrate Kurt's birthday. For now I'll take a look at lesson plans for the week and settle in for an early night. It is starting to feel quite brisk around here by Florida standards. We had to dig out jackets this week and I saw my students wearing long pants for the first time this year. Sydney seems to have outgrown all of her jeans from last year, so a little sorting and organizing is definitely in order. 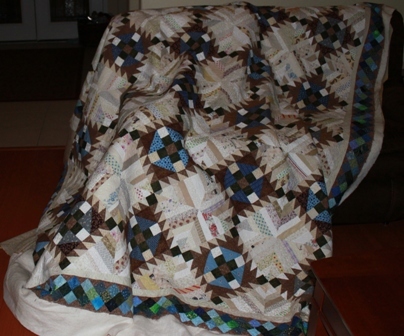 It was even feeling a bit chilly at night which made me pull out this quilt that I started last year specifically for colder weather. My little planning notebook says that I started the design in February of 2010 based on a Bonnie Hunter pattern. 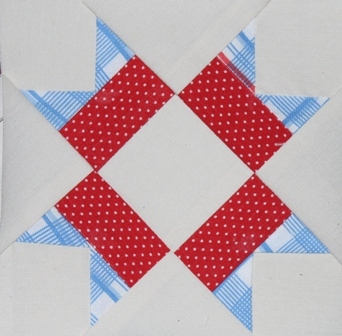 I thought the spinning stars needed to be broken up a bit though and so separated the quilt into quadrants and added a border of simple squares. 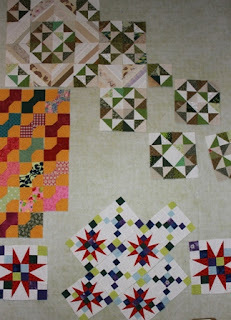 It is going to need at least two more borders size wise, I was thinking a 3.5 in the yellow from the center and a 6.5 in the same green. I don't have quite enough of the four patches though, so I'll need to whip up a few of those first. We are going to see the school play tonight though, it is the Wizard of Oz. 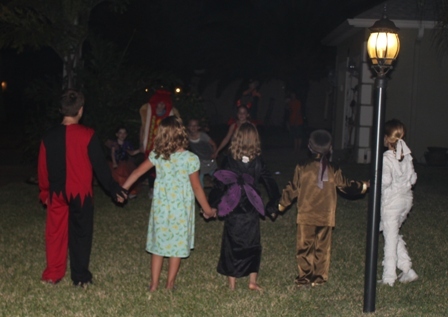 I have been warned that the flying monkeys are quite scary, but I think the kids can handle it. Just two more orange Saturdays left. I'm about out of orange scraps, how about you? I finished up my rainbow of crumb blocks this weekend! 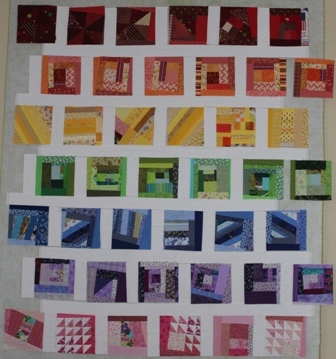 Most of them have been made along the way during the Rainbow Scrap Challenge. Now I just have to decide how to put them together. Option 1 is a simple grid. Option 2 is an alternating grid. I would fill in with half blocks along the edges, making the quilt a bit wider. That might inspire me to add a row of brown blocks to the bottom and maybe even a row of black to the top, though that might be too dark compared to the rest of the quilt. So what do you think, Option 1 or Option 2? I had a pretty good collection of crumb blocks going already. I used purple and green in Lilac Potpourri earlier this year and had some leftover. Then there were blue blocks leftover from the beginning of the Rainbow Scrap Challenge. The red and orange are new today. 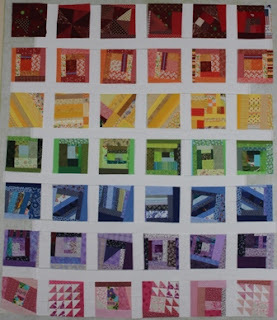 I still need another yellow though, and I have some pink blocks in the works. 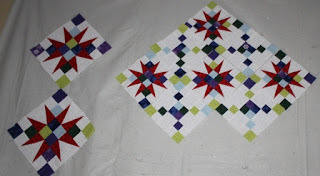 I can't decide if I'm going to add the multi-color blocks in as a border with the stars for the corners. I think I might just want to keep it simple. I'm sure I could find another spot for the rainbow blocks. So glad I got a chance to sew today. Next week looks fully booked so I'll savor the rest of the evening before putting it all away for now. There are 5 Saturdays in October leaving plenty of time to work on orange scraps. I didn't have much time to sew this week, but plan to try to find some time today so that I can devote tomorrow to school work. What are you up today? Things have been busy as usual these days, but it didn't take long to put together Midget Block number 50 which is called Autograph. 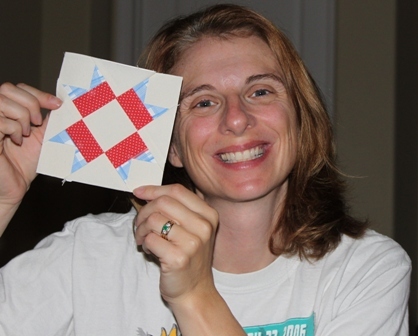 It was a fairly simple block; paper pieced in 4 sections with 21 pieces. The first quarter of the school year ends tomorrow and I've been busy getting all the odds and ends finished up. I enjoy the flow of the school year with its built in deadlines to keep things moving along. I'm a very good procrastinator and having starting and ending dates is a good way to make sure that things keep getting crossed off the to do list. Scraphappy Saturday - Orange you Glad its a Weekend? 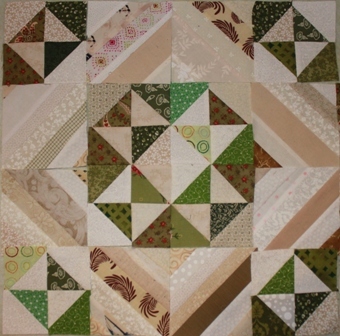 It is a wet and rainy weekend, the kind that would be perfect for holing up in the sewing room and whiling away the day. I'm not sure what we'll do with our company, but I'm guessing that we won't be out and about too much today. 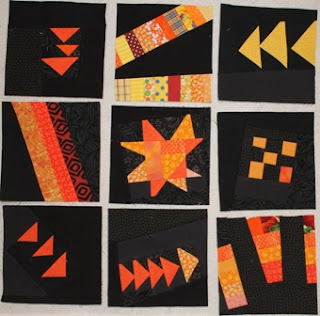 I saw the cutest pattern for a paper pieced candy corn block at Stash Manicure a few days ago.that I think I would play with if I were sewing. It would make a nice little mug run. I'm not sure paper piecing is really necessary, I think free form and wonky would be really cute as well. Instead I've pulled out some hand quilting so that I can be sociable. 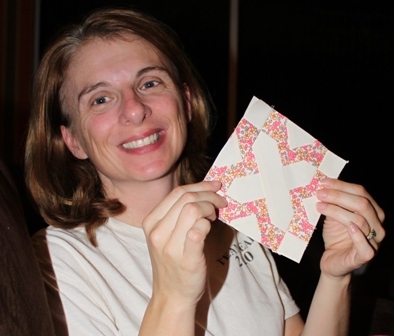 Use the linky box below to share your Scraphappy progress. Into a guest bedroom again. I haven't picked the sewing machine up yet, so I can still sew a little bit, if it isn't too messy. I guess crumb blocks aren't a good idea? Somehow I managed to skip Midget Block number 48 last time I was working on these. 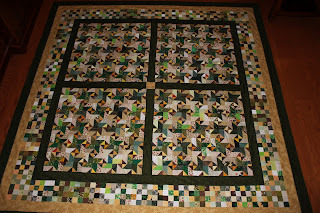 Mountain Road went together easily enough, it was paper pieced of course in four sections with a total of 20 pieces. My design wall looks like the result of short attention span quilter. After seeing a rainbow string/crumb quilt, I was inspired to pull out some of the rainbow blocks that have been accumulating this year. I'll need to get everything tidied up this week for company next weekend, but I think I might have a string piecing marathon very soon. Strings go nicely with crumbs of course and they both end up making quite a bit of mess which is not the best of ideas when the in-laws are on the way. I had intended to finish up the little spiky star quilt this weekend, but the trirecs ruler is hiding somewhere. Those are hanging out with the cheddar leaders and enders and some green and white broken dishes blocks that will be part of Jamestown Landing. It looks like a little tribute to Bonnie Hunter, doesn't it? To see what other people are up to, pop over to Patchwork Times. I was so happy to have finished off RRCB that I felt inspired to start a new quilt. This is Jamestown Landing, but in green instead of blue. 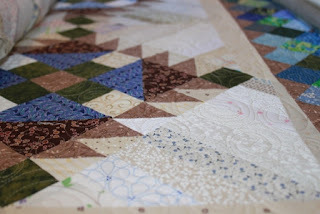 It has quite a few pieces but once it is cut out I think I will work on it between other projects. Kurt spent yesterday detailing his new car. After that he was volunteered to drive the kids on all of their weekend errands so that they could all have turns getting rides. Sorry for the bad pun, it is the inevitable side effect of living with a geeky engineer and even geekier 10 year old boy. I spent the morning making a HUGE mess and playing with orange crumbs. 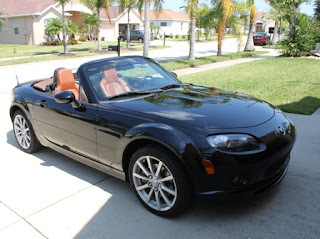 I'm just about out now, so I'll either have to pull out a new color or switch to another project. Decisions are so complicated. I am enjoying the crumb along at Jo's Country Junction, but other projects are calling my name. ScrapHappy Saturday - Feeling Orange? Today is the first ScrapHappy Saturday in orange! I have a few black blocks to finish up and I want to do some more crumby sewing for the crumb along, but I will definitely delve into the orange jar (though is is shared with yellow) to see what I can find. Feeling inspired by orange yet? Post your ponderings below. I pulled out an old project last night hoping to finish it off, but I couldn't find the right ruler to make the little star points. 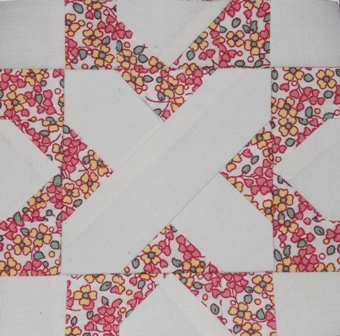 Maybe it will turn up today so I can finish off this little quilt for the entryway. 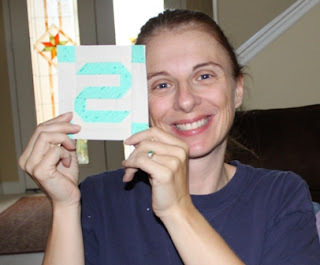 I think I started making the big blocks (9.5 inches) and then decided smaller blocks would be cuter (6.5 inches).